Good news for burger fanatics: there's a new burger joint in town. Called Burgerim, the new eatery is located at 228 E. River Park Circle at Friant and Fresno Street, and it's the latest outpost of the international fast-casual gourmet burger chain. A second Burgerim is planned to open in Fresno later this year. 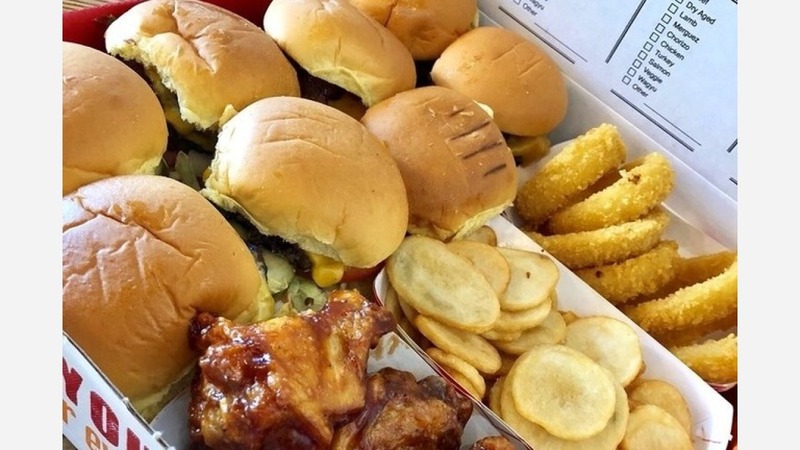 Burgerim not only sells single 2.8-ounce patties, it sells the oversized sliders in twos, threes and as a party box of 16. Each burger is highly customizable, with over 10 patty options -- think beef, turkey, lamb, salmon and veggie -- and 10 possible toppings, like bacon, fried egg and avocado. Burgers are paired with the restaurant's signature oval-cut fries. With a 4.5-star rating out of 15 reviews on Yelp, Burgerim has already made a good impression. Ann S., who was among the first Yelpers to review the new spot on May 12, said, "My new fave burger place in Fresno. Loved their meat selection, friendly staff, price is reasonable, and taste was really good!" Yelper Ryan A. was impressed with the quality and service: "I got one regular beef, one dry-aged, and one wagyu. The dry aged was definitely my favorite out of the three ... The fries are tasty -- kinda weird, but tasty. The soda machine is a win!" Interested? Stop by to welcome the new business to the neighborhood. Burgerim is open from 11 a.m.-10 p.m. Monday-Thursday, 11 a.m.-11 p.m. on Friday and Saturday, and 11 a.m.-9 p.m. on Sunday.